I enjoy giving gifts. And I enjoy receiving gifts. It’s not my primary Love Language (that would be Physical Touch), but I definitely feel cared about when I receive a gift from someone. Over the course of my life, I’ve been blessed to receive a lot of gifts from a lot of people. One present in particular, however, has long held a special place in my memory. Money was extremely tight, so it was The Year Without a Christmas. But my birthday was just two days afterward, and on the evening of the 27th, my dad drove me to a shopping mall. He instructed me to wait in the car while he ran in. He came back a few minutes later and handed me my birthday present: a Rubik’s Cube. It wasn’t wrapped. It wasn’t accompanied by a cake and candles. And it didn’t need to be. He knew I wanted a Rubik’s Cube. And he wanted me to have one. The smile on his face was half sheepish and half proud. He would have liked to have given me more, and at the same time he was happy he could give me something that would make my birthday special. And he didn’t get me a knockoff that would have been half the price. (A budget-based concession I would have been fine with.) He got me a genuine Rubik’s Cube. That present told me I was important to him. It said that he listened and payed attention to me. It stated that he believed I deserved the best possible version of something, even if it was small. That gift let me know in no uncertain terms that he loved me. The real value of a gift lies not in its usefulness. Or price. Or attractiveness. It lies in the message it sends to the recipient. 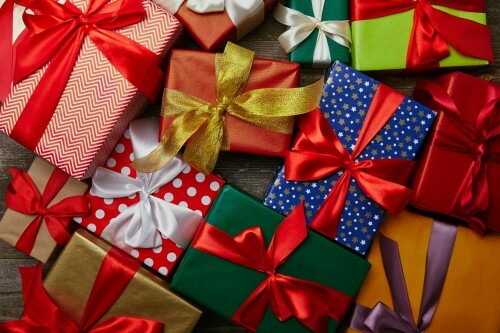 When you give a gift to somebody—whether it be a loved one, an employee, a client, a vendor—what message does it communicate? Are you giving them a tchotchke, which says, “I felt obligated to get you something, so here’s something.” Are you giving them a discount coupon, which says, “The only thing we care about it your money. Buy something from us!” Or are you giving them something personal, something they’ll find valuable, something that touches them emotionally, which tells them how much you appreciate them? The toy eventually got lost among the many moves over the following years. Or maybe I gave it away after my obsession with it faded. (Yes, I learned how to solve it, and got really good at it. I played with that thing for a loooooong time.) But the memory of receiving it that night has remained with me. And that’s the true power of a gift: to stir emotions, forge connections, and create memories. So when you’re choosing gifts to give, keep that in mind. And whenever you receive a gift, look beyond the physical item and appreciate the intent, the thought, and the emotion behind it. Wishing you many more wonderful memories of gifts given and gifts received. The Christmas toy, “Elf on the Shelf” has been accused of being part of a nefarious scheme to illegally gather intelligence on millions of unsuspecting families. The controversy erupted when Santa Claus let slip recently that the popular elves don’t actually work for him. “I’ve been keeping an eye on kids for centuries, long before Alexa, Google Home, or Elf on the Shelf came on the scene,” Santa revealed in an interview with Harper’s Bizarre magazine when asked if he uses any modern technologies to monitor kids for naughtiness. Privacy advocates around the world seized on the implications of this bombshell. “If Elves on Shelves aren’t spying for Santa, who are they spying for?” pondered Ty Neetots of the group, Privacy Rights Overseers Battling Encroachment (PROBE). 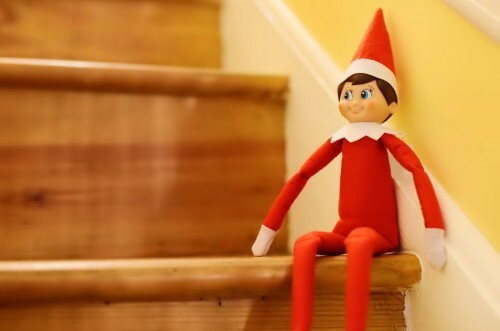 Elf on the Shelf—a self-proclaimed “Christmas tradition”— debuted in 2006 and was eagerly snapped up by parents looking to augment their pre-Christmas child disciplinary options. Indeed, The Beleaguered Parents of America cited a 12% decrease in naughty behavior over the first three years of Elf sales. Payless—the discount shoe retailer—recently pulled off a brilliant stunt: they sold fake designer shoes at a fake designer store. And the ruse carries lessons for anyone in sales and marketing. Payless took over a former Armani store in a mall in Santa Monica, California, and named it “Palessi.” (I love that.) Then they stocked the location with the same shoes they sell at all their other stores. But the merchandise had two modifications: their regular labels were replaced with a fake designer label (Bruno Palessi), and their price tags were bumped up from their usual $20 to $40 range to $200 to $600. Within hours, “Palessi” sold more than $3,000 worth of (normally) discount footwear. And in taped interviews, happy customers gushed about the style, quality, and craftsmanship of the shoes. There are several reasons the hoax worked so well—an Italian-sounding designer name, the luxuriously-appointed store interior—but arguably the most important was this: price—in and of itself—communicates a lot about your brand. Most consumers—myself included—typically avoid Payless because we believe that their value proposition—CHEAP SHOES!—means that their merchandise is constructed poorly, with low-quality materials, and is not particularly stylish. In fact, this perception led to such poor sales that Payless had to close 673 stores and seek bankruptcy protection in 2017. Unless people are really squeezed financially, they prefer to spend more for better quality, service, and results. And because we know from experience that better means more expensive, we also believe the reverse: that more expensive means better. “Palessi” shoppers made the (very common) leap that if these shoes are really expensive, they must be really good. We all make this assumption every day. It’s why in experiments where the same wine is poured into two different bottles—one with a cheap label and one with an expensive label—tasters describe the samples completely differently, invariably preferring the wine with the pricier label. Price communicates information about a product or service’s quality, scarcity, desirability, power, effectiveness, reliability, life-span, exclusiveness, safety, and more. That information might not be accurate—diamonds, while expensive, are actually pretty common—but we assume it is. It’s a mental shortcut we take, and once we’ve taken it, it’s hard to go back. Payless—which refunded everyone’s money and turned the footage into YouTube videos and TV commercials—may or may not be able to leverage this stunt into a long-term change in consumer perceptions and a corresponding increase in sales, but it’s a great effort. And a needed one. Because in order for Payless to survive, they have to convince shoppers that low price can mean high quality and high style. That’s a tough sell though. It’s so much easier for us to believe the opposite. So what assumptions are prospects making about your product, service, and company based on your pricing? What does your price say about you?